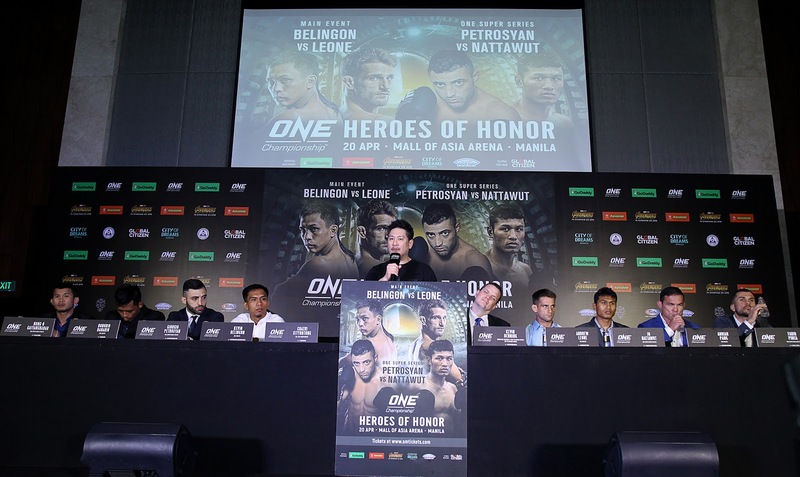 Asia’s premier martial arts organization, ONE Championship, is back in Manila for its second of four shows in 2018. In a press conference held at the Grand Ballroom of the City of Dreams in Manila, the promotion kicked off its latest event, ONE: HEROES OF HONOR, which is set for Friday, 20 April, at the Mall of Asia Arena. Photos of the event can be downloaded here. ONE: HEROES OF HONOR goes down this Friday, 20 April at the Mall of Asia Arena in Manila, Philippines. Gates open at 6:30 PM local time.